Cast iron oil boilers: Proven Viessmann quality, efficiency, and reliable operation. Our cast iron boilers offer a reliable, durable and efficient commercial heating solution. The boiler’s sectional, triple-pass design, combined with a high-quality heat exchanger surface ensures easy installation, economical energy consumption, high operational reliability, and a long service life. Novel Care has over 35 years of experience installing Viessmann commercial oil boilers, as well as many other high-end brands. We choose and recommend brands like Viessmann because we know they’re made well and perform as a customer expects them to. Our Viessmann commercial oil boilers installation services are second to none in Toronto and throughout the GTA and we offer a complete range of Viessmann commercial oil boilers to complement our expert oil boiler installation services. Our TorontoViessmann commercial oil boilers installation services ensure that you’re home will not be without the heat it needs to keep your family warm. 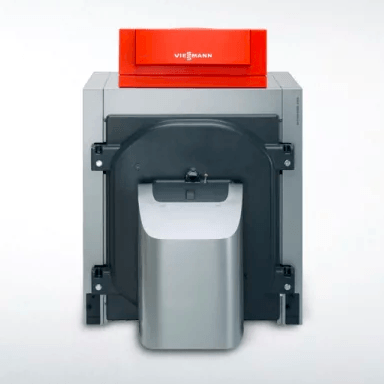 On top of that,Viessmann commercial oil boilers are some of the most efficient on the market. As a result of such great efficiency, you’ll actually save a lot each month on your energy bills. Many Toronto building owners are switching to Viessmann commercial oil boilers. Learn more about how Viessmann commercial oil boilers can save you money on your next energy bill by calling Novel Care in Toronto today: 416-921-0000. If there are Viessmann commercial oil boilers that you’re interested in that you don’t see below, not to worry. We can source any product you need, just give us a call: 416-921-0000. Oil-/gas-fired sectional cast iron hot water heating boiler, with Eutectoplex triple-pass heat exchanger surface for operation with modulating water temperatures.